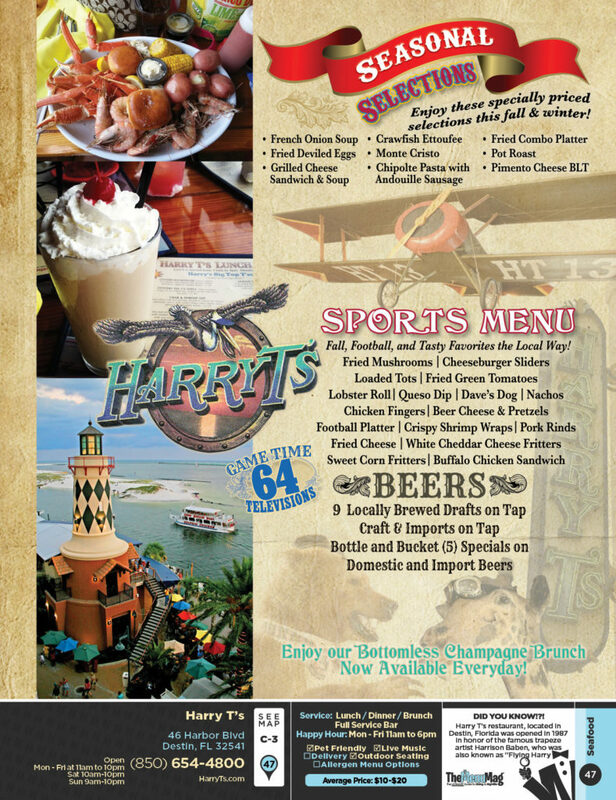 Harry T’s restaurant, located in Destin, Florida was opened in 1987 in honor of the famous trapeze artist Harrison Baben, who was also known as “Flying Harry T.” The restaurant was originally located on the ground floor of the tallest building in Destin! In 2008 it was moved to a two-story lighthouse at the Emerald Grande Condominium tower in Harbor Walk Village. The décor of the restaurant is circus themed coupled with memorabilia from the sunken luxury cruise ship, Thracia, and a huge stuffed giraffe stands outside the lighthouse. Despite its playful atmosphere, Harry T’s offers breathtaking views of the ocean that can be enjoyed from every table in the restaurant. 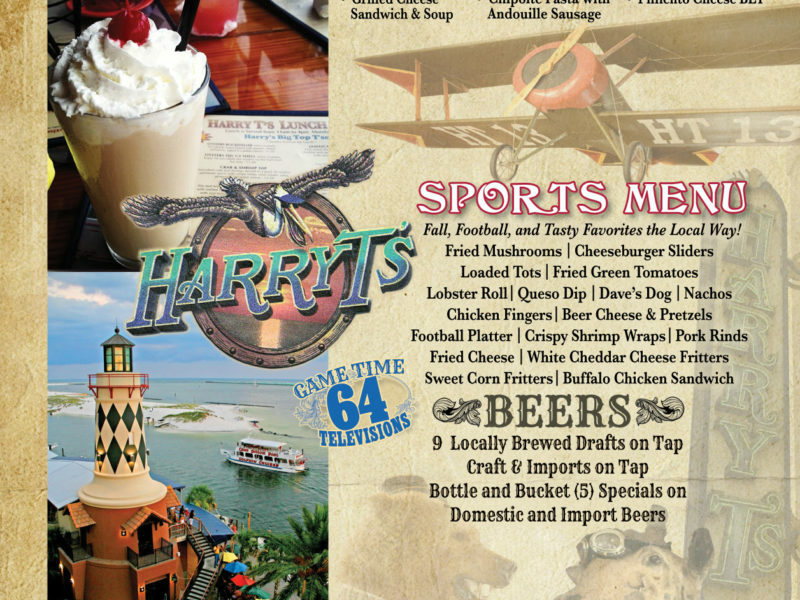 Harry T’s restaurant serves American cuisine, and the price range of the main course meals range from $15 to $30; soups and salads cost anywhere from $5 to $15 (menu items are always cheaper during the off-season). 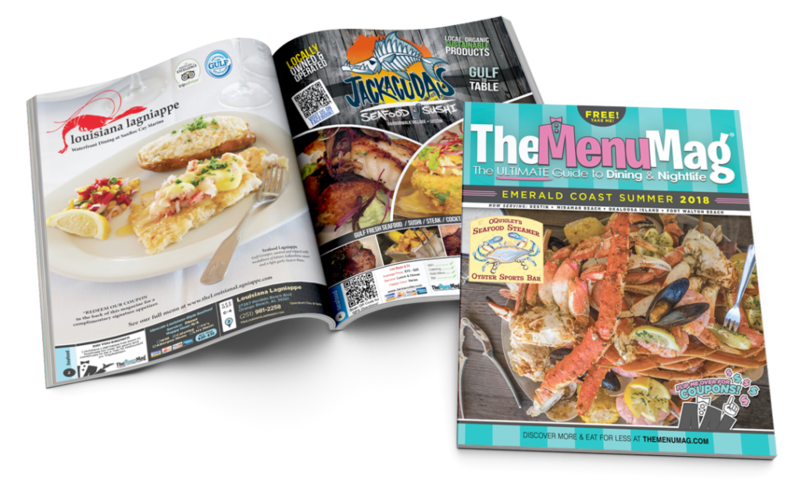 Menu selections include steak, chicken, seafood, and pasta. Brunch is served on Saturday and Sunday from 10:00 a.m. until 2:00 p.m.